Thousands of spectators flocked to Steveston to support over 100 artists painting on location in the 7th Annual Grand Prix of Art on September 23rd. We were blessed with a beautiful day, providing the perfect conditions for the artists and volunteers. Check out this year's short Event Documentary film, featuring artist and past champion Dan Gray. Expand your “palate” in this open studio setting, where the price of admission is $15 or a good bottle of wine to share. Bring your art supplies, creativity, and favourite libation, and join us the last Friday night of each month, 7pm – 11pm, for the most decadent open studio ever! First session is this Friday, October 27th! Call us at 604-448-1860 or email to reserve your place in this relaxed, sociable studio. 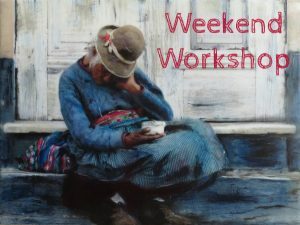 Weekend Workshop -- Limited Space available, register now! Give yourself the Gift of Art! Early registration discount ends December 1st! New Classes start this November! Highly pigmented water-soluble wax crayons with smooth consistency and vivid, lightfast colours. 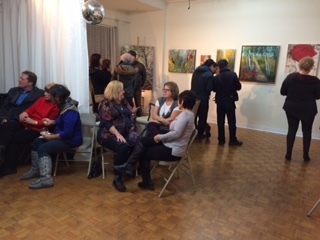 Your chance to buy spectacular paintings at a great price, and support the Food Bank! Brighten your Day and Sketch on the Go! Fight back the Winter Blues with Pink, Teal, Citrine, and Lemon Journals. Light, Bright, and Handsome! And super inexpensive, starting at $3.25! Copyright © 2017 Phoenix Art Workshop, All rights reserved. You are receiving this email because you are a friend or member at Phoenix Art Workshop; we send special offers to members and friends; and information about our classes and workshop. #8 - 3891 Chatham St.